Hey, guess what? 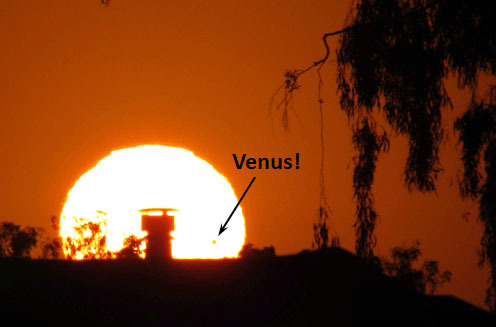 I got a picture of the transit of Venus after all. Isn’t that exciting? The unretouched photo below was the very last one I took before the middle of the sun dipped below the horizon, and that tiny little smudge is Venus. I figured everyone would want to know.